The owner was extremely helpful and friendly! 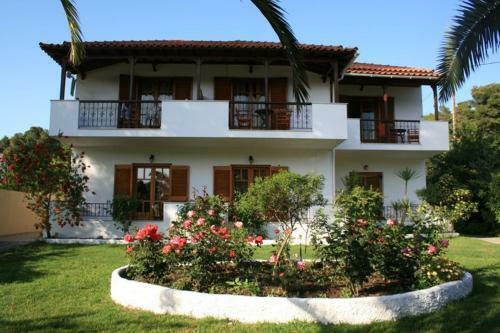 Definitely a value for money choice in Skiathos. The property was lovely and clean. The towels and sheets were changed regularly. Lovely friendly hosts. Very kind offered to pick us up from the airport and we kept our room on as the flight was not until 6:50pm. 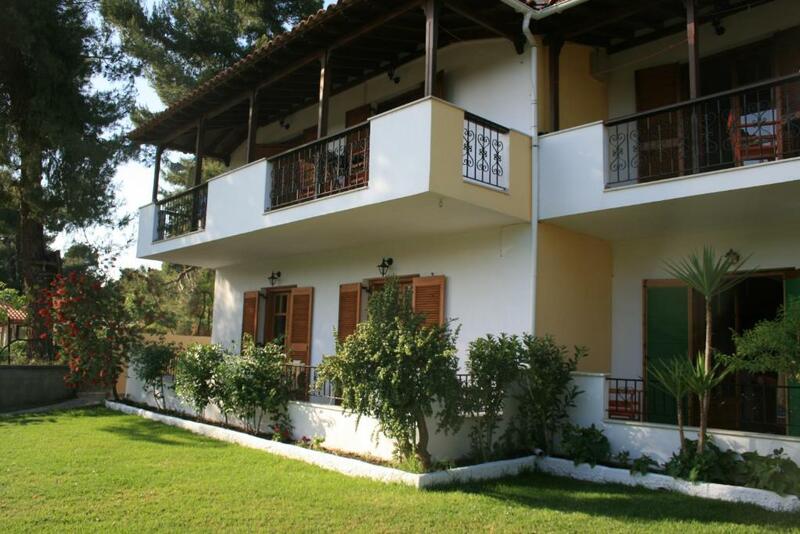 The property was close to really nice tavernas and beaches. We will be back for sure. The owners were lovely. They picked us up from the airport and they were very friendly and helpful. The studio was spacious and airy . Very clean and comfortable. Great location - very quiet but close to the supermarket and restaurants. Having the use of next door's swimming pool was a bonus. Would love to return soon. The hospitality and friendliness of Morfo and her family. The environment. The cats. The balcony. 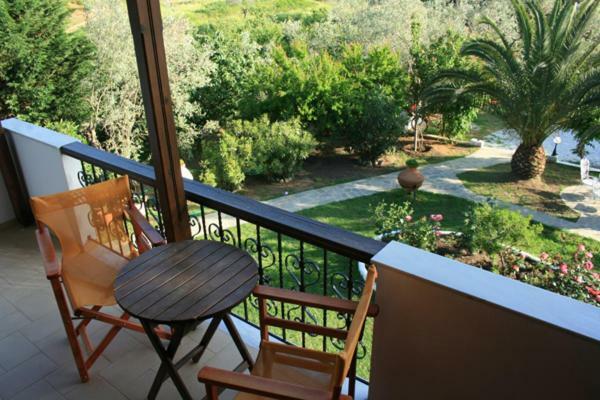 The view surrounded by a beautiful well tended garden of fruit trees, palm trees and flowers. The owners were warm and friendly .They met us from the airport and nothing was too much trouble. We appreciated the homemade jam and the lift to and from the airport. Everything was perfect , the apartment is near koukounaries beach, just ten minutes walking. The owners are very gentle and friendly. The apartment is surrounded by nature and animals I recommend it only to people who like it. Lock in a great price for Katerina Studios – rated 9.1 by recent guests! Surrounded by a lush garden 1,650 feet from Koukounaries Beach, Katerina Studios offers air-conditioned studios with furnished balcony overlooking the greenery. Guests are offered free 2-way transfer from Skiathos Airport and Port. Free WiFi is available throughout. A kitchenette with cooking facilities, electric kettle and fridge is included in all studios at the Katerina. Each has a satellite TV and hairdryer. A snack bar is only 30 feet away from the property. Skiathos Town is 7.5 mi away. Skiathos Airport is at a distance of 8.1 mi. 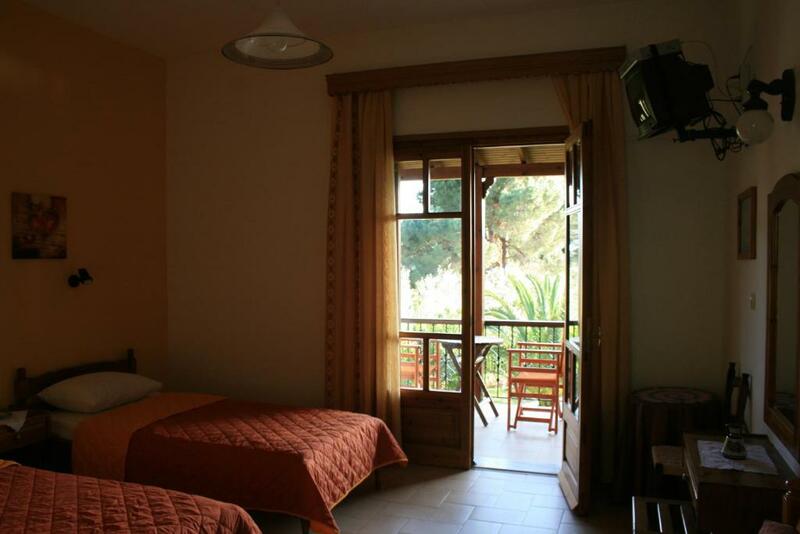 When would you like to stay at Katerina Studios? 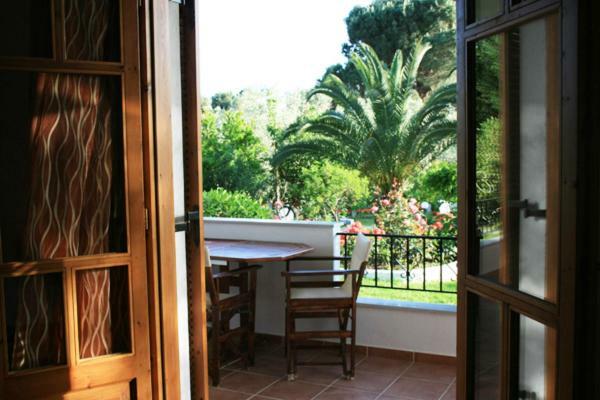 1640 feet from the beach, this air-conditioned studio offers a furnished balcony overlooking the greenery. 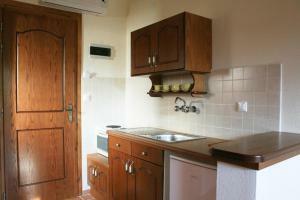 A kitchenette with cooking facilities, electric kettle and fridge is included. House Rules Katerina Studios takes special requests – add in the next step! Katerina Studios accepts these cards and reserves the right to temporarily hold an amount prior to arrival. Please note that Katerina Studios offers free transfer from/to the Airport and Port to guests who stay 7 nights or more. Guests are kindly requested to inform the property 3 in advance if they wish to make use of this service. Contact details can be found on the booking confirmation. Please inform Katerina Studios of your expected arrival time in advance. You can use the Special Requests box when booking, or contact the property directly using the contact details in your confirmation. Many mosquitoes in the area! 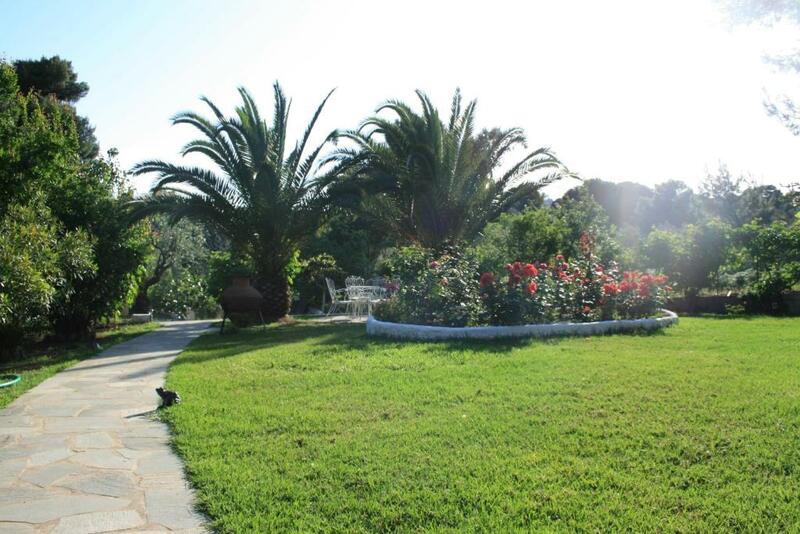 A bit far from the city centre of Skiathos but it is really quiet if you want to relax. A real gem in a peaceful area of Koukounaries. We'll remember forever the hospitality of our hosts Morfo and Thodoris and their son! They even had the cutest little kittens in the garden, which was really beautiful and lush. Studio was spotlessly clean, spacious, had very comfortable beds and wonderful balcony. Wifi, warm water, TV, everything worked. And they were so accomodating with our extra requests for our 2-year-old girl. Next door hotel's pool was also in our use free of charge, which was fantastic. Perfect place to stay and amazing value for money! Beaches nearby were all stunning too! Dream holiday all in all. They did not change our bedclothes once for our 5-day stay. On the last day of our stay, only the bathroom towels were changed, which was no longer necessary as we left the next day. Silence, tranquility, relaxation. Near Kukunari and other beaches.